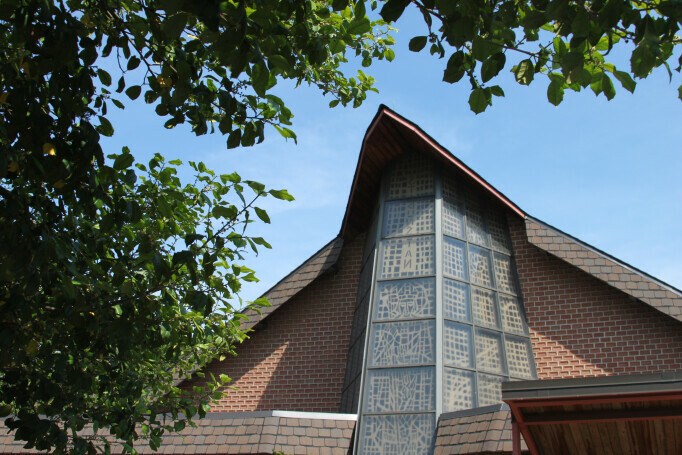 St. Dunstan's Episcopal Church in McLean, Virginia, is a lively, growing community actively engaged in worship, outreach and prayer. On Sundays, we worship together at 8:15 a.m. and 10:15 a.m., with the latter service offering spiritual music including full choir and pipe organ, as well as nursery care. All services offer the sacrament of Holy Eucharist, and on the first and third Sunday we offer the Ministry of Healing to those who so desire immediately following Communion. In addition, a mid-week Eucharist is celebrated regularly during much of the year.St. Dunstan's parishioners minister to our community through many regional organizations -- including Samaritan Ministry, Martha's Table, Building Together, the SHARE food bank, and Habitat for Humanity -- and enjoy education programs, groups, and activities for all ages. What else is new? Click here to find out.